Do you procrastinate by cataloging your favorite looks from Couture Week? Do you find Chartbeat and Google Analytics easier to read than a subway map? Have you uttered the words "Just cinch it with a belt!" more than once in the past week? If any of these are true, then chances are that style blogging is in your blood, and now's your chance to prove that you've got sharper style, more biting wit, and keener tips than your compatriots. You already know that style bloggers are real and very powerful influencers in the industry, but joining the ranks of the Susies, Janes, and Tavis of the world takes much more than a well-stocked wardrobe and a fancy camera — and we're here to help you get there. Beginning today (like, right now! 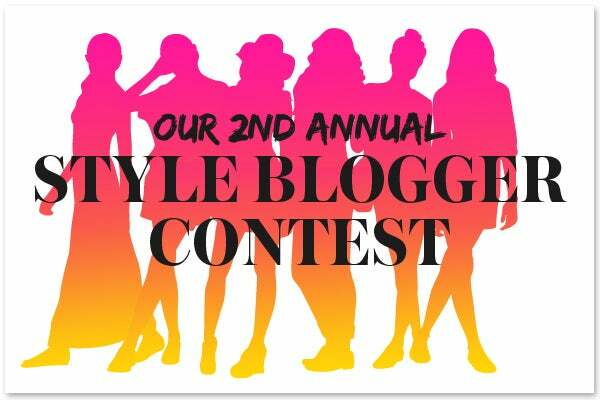 ), submit your blog, a photo of yourself, and a sample post, to the 2nd annual Style Blogger Contest, and then let everyone know you've entered. The more votes you have, the better chance you have of being one of the five finalists who'll fight to wear the crown. A Grand Prize winner will score $1,000 in cash, a week-long internship in Refinery29's New York offices, and bragging rights from here to eternity. We're also awarding a People's Choice Prize (the winner gets a feature on Refinery29) as well as the Bar III prize (one winner will be the brand ambassador for Bar III and will travel on a Flea Market Tour to help style customers!). So, go get dressed, fire up the laptop, and start wrangling your fans — you've got some winning to do!